It has been eight months since my last post. 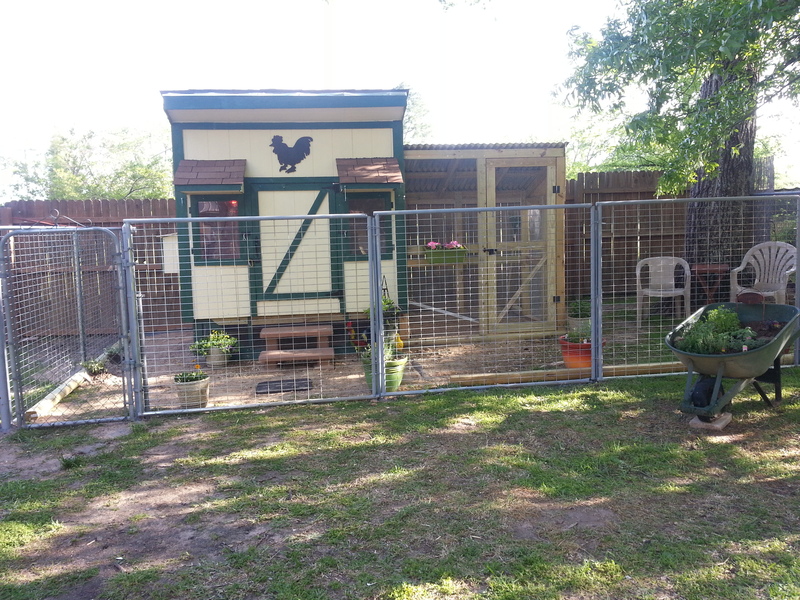 That blog (March 2014) was my introduction to becoming an official “chicken rancher”. If you recall, I was thrust into the ‘enjoyment?’ of raising chickens. Not just plain old ordinary everyday chickens, but a distinctive breed called Silkie chickens. With special birds flown in from Missouri and Oregon, we became the recipients of a well-stocked chicken ranch. Those special Silkie chickens have now grown into a cackling and crowing flock. Although as with any such endeavors with animals, we experienced a thinning of the flock. Those who remain live in duplex condos with amenities like you would not believe. No HOA fees either. They spend their days in chicken luxury. In fact, I was just remarking to the “Rancherette” recently, how some have really taken to their surroundings. In our flock, we have seven hens and two roosters. Most have names. There is Henny Penny, (my thanks to Aesop), McFatty, Sassy Girl, Splash, a multi-colored rooster, Captain Kanga Roo, who thinks he is Foghorn Leghorn, and four hens I call A, B, C, and D. Basically, they look alike to me, so today ‘A’ may actually be a ‘C’ and tomorrow she may be a ‘D’, and so on. It is obvious that I cannot tell them apart. Now the “Rancherette”, well, she knows her ABC’s. As I said, these birds live in a duplex condo. Each side has one rooster and each has his harem. They seem to be happy birds. Well, the roosters seem happy. They obviously cannot get together for Rooster games because of the separation of their roost, however, they can brag through the wire about their personal space. After all, they do go to bed with the chickens. I’m not sure if the hens understand the polygamy of the situation. I think someone once said something about changing the rooster to a hen with just one shot,(Dolly Parton in a particular movie involving chicken ranches) but I believe that is another story… One thing for sure, I’m not letting the hens have a weapon. Before becoming an “Official Chicken Rancher”, my previous experience with chickens involved chicken nuggets. In fact, if any hen gets feisty with the rancherette or either rooster gets amorous with a hen, I merely call out in a loud voice, “CHICKEN NUGGETS,” and they immediately settle down.Chickens are smarter than you think. I suppose I could mention fried chicken or roast chicken, maybe even chicken soup and get the same result. Anyway, that is my experience with raising chickens. The hens are now laying eggs. I do not know which hen lays which egg, however, we are getting two and sometimes three eggs a day. The sizes of these eggs certainly are not jumbos.I think it would take at least a half of dozen to make a decent size omelet. So, production is the key to having an egg farm. We probably will not have an egg farm. But I am thinking about collecting the eggs as HOA fees. No eggs? CHICKEN NUGGETS! Well, now that Fall is causing the temperature to begin dropping, I must be thinking about keeping these little critters warm. And while we do live in Texas, sometimes the winters can become a little cool for these fine feathered friends. I don’t quite have it figured out just yet, but you can bet, the HOA fees will go up. In the meantime, you can decide if these fowls live in luxury.